HKMB is the largest independently owned brokerage in Canada with a highly specialized Sports & Entertainment Practice Area. This program has been tailored to suit a range of Dance Instructors with options that vary in accordance with the size and scope of operations, with premiums that are tiered accordingly. Basic: Instructors who are strictly Freelance/Contract Workers. 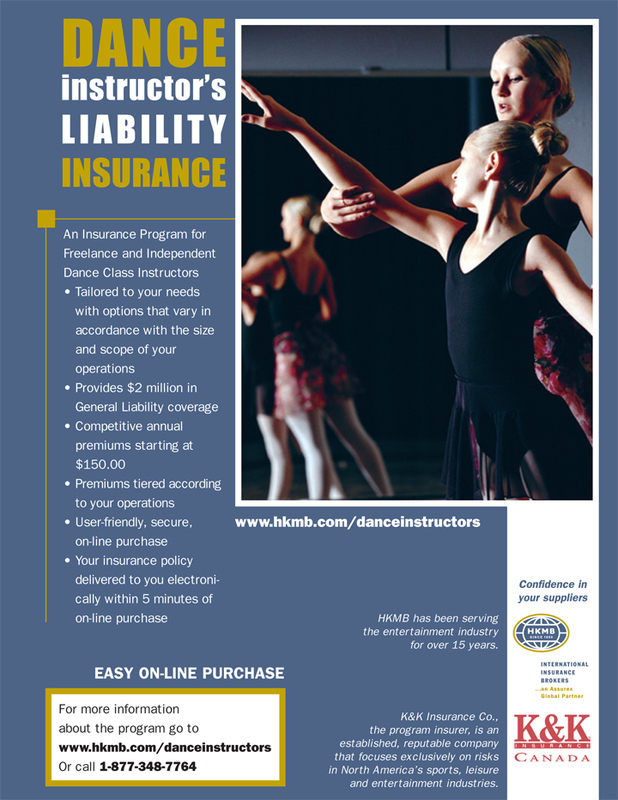 This program is designed for Dance Instructors who work with one or several dance studios, but are not considered an employee of any given studio. The Instructor does not arrange or conduct classes independently of a studio. This program is designed for the ‘entrepreneur’ who organizes and conducts their classes independently of any dance studio, and retains all profits from the classes. The instructor cannot operate a “dance studio”, that is, own and/or permanently lease a studio location. Please contact an HKMB associate to aid you with any questions you may have!